PWC Forum: The best hang-out for Personal WaterCraft enthusiasts > PWC General Discussion > General PWC & Jetski Discussion > Is the Impeller Shot? First time posting so I hope I'm in the right spot! If I am Lets dive right on in! For some unknown reason apart from being bored I purchased a '97 Seadoo GTX from a friend who never rode it and said it was crapping out. To make a long story short, one cleaned little filter in the carbs, a new paint job, and custom sound system later this thing forgets she's supposed to be 22 years old and on her death bed. The only issue that I am having with her is some bad cavitation from a dead stop. Runs great at top end GPSed at 50, but is so sluggish just from the start. Having done some reading and tearing apart the pump it looks like I need to replace the wear ring, but there seems to be some debate on the impeller. 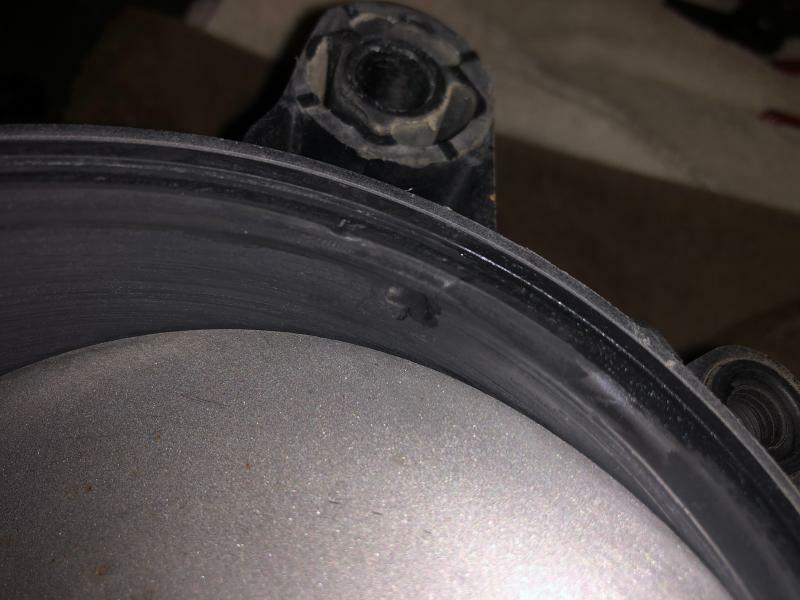 From the pictures can you tell if the impeller is shot or is just the wear ring. I appreciate any and all help on this and thanks in advance! The impeller doesn't look bad, but the edges could be worn causing excess clearance. You can measure it with a std feeler gauge. Ideally .006-.010 clearance. From what I'm seeing, Seadoo calls for a max clearance of .040, and in my opinion, that's WAY to much. I just rebuilt the pump on my STX1100 and the clearance is at .006. Can't tell from the pictures if the wear ring is stainless or plastic. 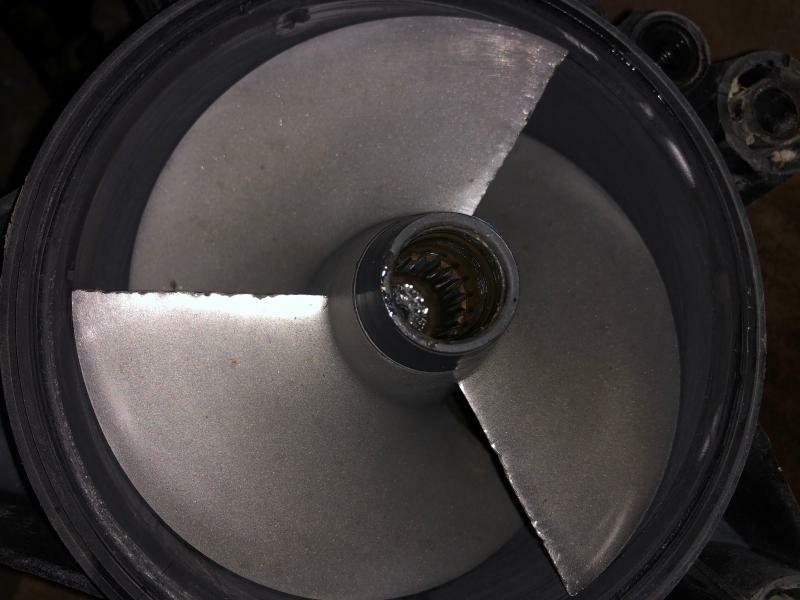 Since it is so old, you might consider rebuilding, or sending the pump off to Impro's for a rebuild, and let them install a new Solas impeller while they're in there. If you post what year and model I can look and see what impeller they list for yours. As Rods as said and as I have found true, is that more than likely a new impeller will correct the problem. And increase performance a bit as well. With 22 yes on it, I'd rebuild the pump as the bearing life in the pump is overdue. The pics are to blurry to tell condition. But even if the wear ring shows some scratches an impeller change will still tighten it up. if the ring is a plastic one then yes, replace it as there cheap. $40. Contact Dave at Impros 951 737-2900. From best I can tell a new solas impeller is about $200. New brgs and seals probably around $50. That's just parts cost. Not sure what they get to rebuild one for you.